I started this interview series because I wanted to know more about the people that are doing health differently and helping us to radically up-level our lives in all arenas. Shann and Ananga are two of those people. Meet Shann and Ananga! Everyone suffers from anxiety to a certain extent in their lives. But for some, they do get to a point where anxiety and panic attacks take over their lives and make it more challenging for them to achieve their goals or even just to get through their daily lives. 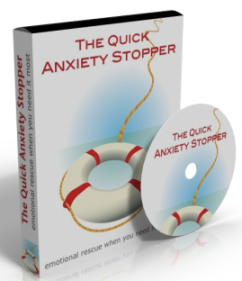 In just a few short years since its creation, the Anxiety Slayer has established a fan base while successfully helping many people face anxiety. With a comprehensive range of products, the site has become a source of resources for many of its followers to get onto a path of developing self-awareness and become more capable in coping with stress and anxiety in their daily lives. Founders of the site, Shann and Ananga, your friendly-neighborhood, yet very qualified and professional Slayers, have decades of experience between them in working on anxiety management. These ladies are both very accomplished in their own rights and the combination of their talents gives you, not only a blog, but a one-stop shop filled with a diverse selection of tool kits that brings you different perspectives and creative methods to fight the age-old anxiety monster. Now let’s find out from this dynamic duo what anxiety-fighting is like and exactly what it is that they do that has won over so many followers and made the two of them, their heroines. 1. Let’s start from the beginning. How did each of you get into anxiety management in the first place? Ananga: I’ve always been interested in personal development and psychology. I’m fascinated by how the mind works and exploring different ways to manage it, particularly when it’s causing suffering like anxiety. Having spent time teaching workshops for over-coming limitations, negative thought patterns, stress and trauma I decided to move more specifically towards anxiety relief tools and skills. Shann: I’ve been a transformation enthusiast for years. I’m a life long student and enjoy teach-ing other’s what I’ve learned along the way. I have Yoga to thank for my interest in connecting with my breath to for stress management. I am so happy that Ananga reached out to me to form a partnership supporting people suffering with stress and anxiety. 2. How did the two of you get together and come up with Anxiety Slayer (Which by the way is a great name)? Ananga: Shann gets the credit for our great name. We came across each other via blog-ging, I was looking to partner with someone to develop a program for coping skills for anxiety and I reached out to four people I had encountered and respected via my Living by Design blog. Shann responded very positively, so we arranged to meet via Skype and dis-cuss ideas and how we might work together. We have developed a great friendship as well as our working relationship, and though we’ve never met in person we’ve been talking together for more than four years now and really built a sense of trust and care for each other. Shann: I came up with the name because I’m a Buffy the Vampire Slayer fan. Joss Whedon is my hero. As soon as the name came up for me, I knew it would be perfect for us. Our mission to to help as many people as possible slay their anxiety and clam their precious minds. As mentioned above, Ananga sent me an email and the rest is ‘herstory’. 3. Are some of the techniques you teach derived from personal experiences? Ananga: Definitely. As a teenager I suffered greatly with anxiety and I still have to keep a tight reign on my mind now. Anything I share I have used personally and extensively. Shann: Absolutely. I was a later bloomer to all of our techniques. My prior profession as an advertising sales manager was quite demanding and stressful. I practiced yoga, guided re-laxations and breathing exercises to still my mind. Yoga changed everything for me. 4. 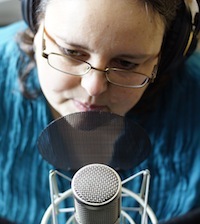 Podcast, audio tool kits, eBooks, albums, and the list goes on. What inspired the creativity and the diverse approach to anxiety management? Ananga: It’s quite simple really – we share what we know helps. We are eager to reach as many people as we can and offer a broad collection of tools and techniques. Some people write to us telling us that breathing techniques have made a huge difference for them, others are not so keen to work with their breath but have had great results with EFT, and others just trawl through the podcasts and find listening to two people sharing how they cope helps them find hope too. Shann: We only share what we know will provide relief to our community of listeners. Ananga and I enjoy a wide variety of interests and are blessed to complement each other’s strengths as Anxiety Slayer sisters. We have a deep well of supportive information that we can draw from at any time. 5. What is the thought process like when you’re designing the curricula of your programm? For example, what do you consider when you plan and prepare for the various topics or the materials in your podcasts? Ananga: It’s quite organic, we like to respond to listeners questions because we know then that we are trying to address real concerns. We also like to go deeper into subjects that can really help anxiety but might be new to our listeners to share information we hope they will find helpful, for example: EFT Tapping, Ayurveda and Bach Flower Remedies. Shann: We want to serve our community first and foremost. Most of our podcasts are based on listener questions from our facebook page and Anxiety Slayer Inbox. Right now our audience is asking for more guided relaxation albums and we are happy to oblige by creating peaceful and supportive albums for anxiety relief. We consider all of the gifts in our collective tool kit along with our personal experience. I bring coaching, business operations, communications, voice talent, sales and marketing to the table. Ananga brings her experience as a teacher, EFT Tapping expert, Ayurveda practitioner and counselor. Ananga is an extraordinary musician who pours her heart into every album we create. Thankfully she loves creating music to support my voice! 6. Do you actually meet your clients one-on-one in person? What sort of circumstances would that be in? Ananga: I have met some of our listeners over Skype, and have offered some one-on-one coaching sessions but mainly respond to questions via podcasts and serve our audience as a whole. Shann: I meet with the majority of my clients on the phone or via Skype. The preponderance of our business is producing podcasts and programs that can be delivered one to many. 7. Every hero has his good and bad days. What were one of the best days and one of the worst days on your journey of helping others battle anxiety? Ananga: One of the best days was seeing our anxiety relief titles listed in the iTunes music store and receiving positive feedback. The worst days are the days when my ongoing health challenges make work challenging, I like to work in a fairly progressive flow state (don’t we all) but chronic pain can make that tough and affects my concentration. But Shann is incredibly flexible and understanding, and somehow we keep moving forward even when there are challenges along the way. Shann: The best days are when we learn that someone had a breakthrough or found some comfort because they listened to our podcast or had success calming their mind with one of our digital offerings. The tough days come when it sinks in how many people are suffering. We wish we could help every single soul experience anxiety relief. 8. Let’s just talk about you as individuals for a bit here. Shann, you’re described as “delight-fully curious”. What intrigues you the most in life? Shann: I could never tell you what intrigues me most because so many things call my attention. My husband thinks I’m the most curious person on the planet! Deepening my spirituality and connection to God/Universe/Higher Power is in the top five, along with doing as much as I can to support people who want to transform their lives. 9. And Ananga, some would say that your music has a strong Eastern influence in it. Where do you usually get the inspiration for your work? Ananga: It varies. I am sometimes inspired by a film score or the work of individuals like Ben Leinbach or Ludovico Einaudi, but usually I am inspired by the voice I am creating music for. Shann’s voice is great to work with and my usual process is to open a blank screen in Logic, add her voice track and see what develops from there. I have a collection of flutes from all around the world and, it’s true I love Eastern sounds and scales, but things do change for each album. Our most recent title features cello, piano and my lovely Altus silver flute, so will be less Eastern than usual. 10. Now before we go, perhaps the two of you could share with us what’s next for the Anxiety Slayer? Ananga: We are planning a series of new releases for our Audio Support Library – it’s a new area of our site where we go deeper into sharing how to use the tools we recommend for tackling anxiety. We also have plans to release five titles to iTunes this year, I am cur-rently completing the music for the third release and we will then plan, write and release the remaining two. Shann: We are currently in the studio producing our 8th album, Oasis: Guided meditations for Anxiety Relief (working title). This summer our podcast we will be choreographed as a summer self-care series for our listeners. We are also creating special modules for our supportive library to help our tribe learn more about healing remedies they can make at home, Ayurveda, Nutrition, EFT Tapping and more. 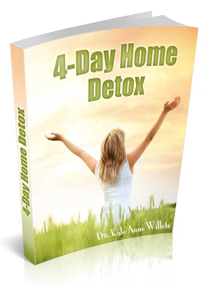 Your readers are welcome to visit Anxiety Slayer to give a look around and claim a Free Guided Meditation. Thanks so much for the opportunity to share our story with you. Thank You Shann and Ananga! 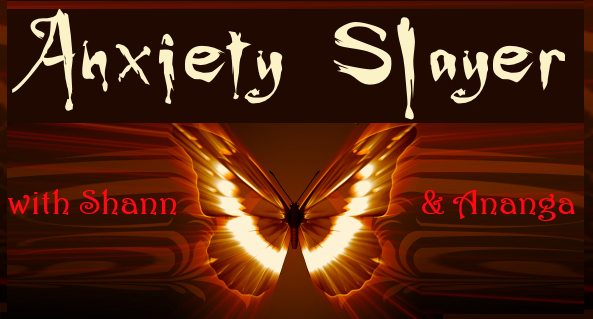 Shann and Ananga are the Slayer sisters of AnxietySlayer.com. Shann is a self-proclaimed transformation goddess and yogini and Ananga is a writer, teacher, and musician among other talents. Together, they slay anxiety and provide tools for stress and anxiety relief. 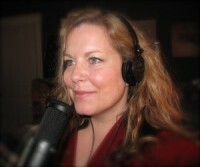 You can learn more about their podcasts, products and more through their website www.anxietyslayer.com. Thank you so much for interviewing us for your fabulous blog. We had a lot of fun answering your questions! Cheers to Doing Health Differently! Shann, the work you and Ananga are doing is so powerful and important. Especially in this day of fast change and massive amounts of unknown there are few unaffected by some level anxiety. Thank you for the work you do and for taking the time to share in the Doing Health Differently series. May your work ripple out and help many!